“It’s so nice to finally hear your voice,” my English professor said when I walked into her office. She was being encouraging, but inside I cringed, because her statement affirmed what I already knew — that I was too quiet and struggled to speak my mind in front of the class. I had always been reserved, preferring to read and daydream than participate in my classmates’ noisy games, but when I was in college, my reluctance to speak in the classroom became increasingly obvious to my professors. I found myself in a competitive environment, where the other students seemed extremely outspoken, aggressive, and determined to make their voices heard. The discussions moved quickly, and it was often difficult for me to get a word in, because by the time I formulated my thoughts, the students and professor were already on to the next topic. Initially I struggled to participate, putting tremendous pressure on myself to speak, but then one day, this strategy backfired. I had forced myself to speak but hadn’t really planned what I was going to say, and my professor, a Yale graduate who relished fast-moving discussions of literary theory, grew impatient. “What’s your point?” he demanded irritably, and I quickly wrapped up my statement, burning with embarrassment and fighting back tears. After this incident, I stopped speaking in that class altogether, and my participation in other classes dropped as well. Throughout college and graduate school, my lack of participation was noted by my professors, who rarely seemed to understand that speaking in front of the class was extremely difficult for me. But there was one professor who understood, and the remarkable example she set showed me that there was no reason for an introverted student to struggle so much in the classroom. Professor Simon was a Creative Writing instructor who taught short fiction and novel writing classes. As with other college courses, the students were given reading assignments, and much of the class revolved around discussing these readings. Like with my other classes, I found it challenging to formulate my thoughts and express my ideas, but Professor Simon recognized the difficulty I was having and developed a solution. One day after class, Professor Simon spoke with me after the other students had gone. She matter-of-factly but sensitively told me that she noticed I had trouble speaking in class and proposed a solution to boost my class participation grade. She invited me to email her after class with my thoughts and impressions about the readings, and to include anything I had wanted to say during discussion but was unable to. I greatly appreciated this alternative and returned to my dorm room and composed an email to her that very night. It was amazing to me how quickly and easily the thoughts flowed onto the screen, and I realized that I had a lot of insights and original ideas when I was alone, free from the pressure of the classroom environment. I developed the habit of composing a thoughtful email after each class, which Professor Simon would carefully read and respond to with some ideas of her own. The exchange of ideas and dialogue was rewarding, and it made me realize that I had a lot to contribute, even if I wasn’t the biggest talker or the fastest debater. Professor Simon was unique among my professors, since she was the only one who didn’t regard my lack of participation as a flaw or a sign that I was uninterested or had nothing to say. She had the sensitivity to recognize that I was a diligent student with plenty of ideas and insights who simply had difficulty speaking in front of a classroom full of competitive, outspoken students. And what’s more, she developed a solution that allowed me to express my thoughts privately in writing, in a manner that was more comfortable for me. I received full credit for class participation and ended up with one of the highest grades in the class, all thanks to one teacher’s sensitivity and willingness to offer a solution. 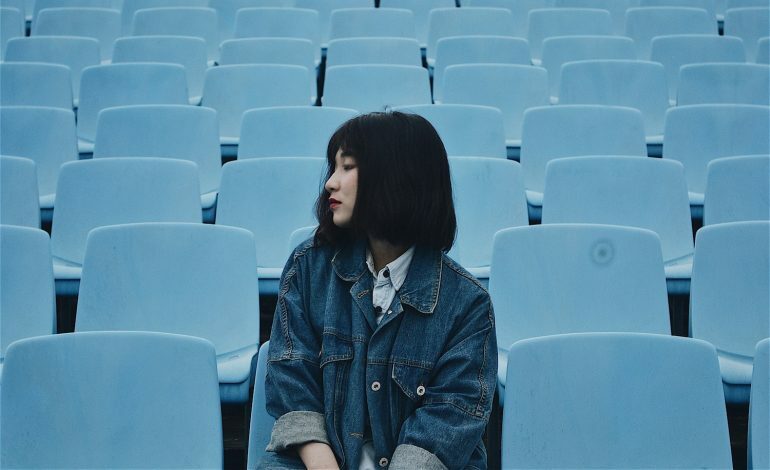 Class participation is often a significant portion of a student’s grade, and I have felt pressured to force myself to speak in order to meet the participation requirements, as do many introverts. Being an introvert means having a preference for minimally stimulating environments, and getting worn out fast by too much stimulus—including social stimulus. That’s it. It doesn’t mean being shy, antisocial, or lacking in confidence. Understanding this goes a long way toward not viewing introverted students as “bad” or in need of fixing. 2. Stay attuned to the quieter students. It is easy to overlook quiet students or assume that they are bored or have nothing to say. But there are other signs of engagement that go beyond class participation. Do the quiet students listen attentively in class? Do they look like they are thinking hard and have something to say? Do they hand in assignments on time, and is their written work thoughtful and insightful? These are just a few indications that your quiet student is introverted and struggling with class participation. 3. Speak with your introverted student privately and propose an alternative. Once you have identified an introverted student, speak with him or her privately outside of class. Let them know that you have observed their difficulty speaking in class and suggest an alternative. Allowing the student to express their thoughts via email can be a highly effective solution; base their participation grade on these emails rather than class discussion. 4. Challenge the notion that introversion is a flaw that students need to change or overcome. Remember that introverts have a lot to contribute and may be capable of deeper insight than many of the extroverts who dominate class discussion. Many of the introverted students feel silenced to begin with, and as their teacher, it is up to you to give them the opportunity to express their opinions, as Professor Simon did for me. I remain grateful to my sensitive and innovative writing professor, who recognized my introversion, accepted it, and found another way for me to share my voice. Tara Malone is a freelance blogger and copywriter whose areas of interest include psychology, Jewish history, greyhound rescue, and the contributions of introverts. She is a Holocaust educator and creator of the blog Butterflies in the Ghetto, which features the stories of the many courageous artists, writers, and musicians who were imprisoned in the Terezin ghetto concentration camp and continued to create.